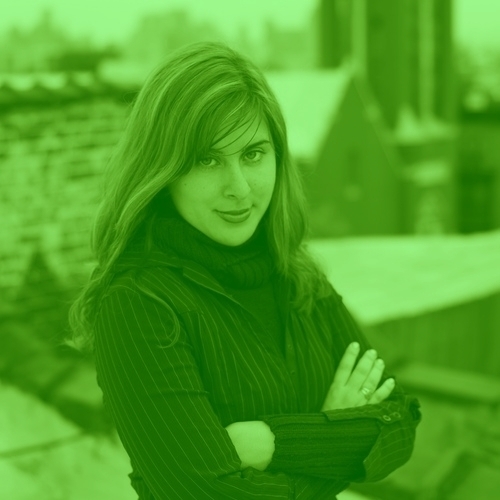 Maryam Keshavarz is an award-winning multimedia artist, screenwriter, and filmmaker. Her debut feature, Circumstance, won the Audience Award at the 2011 Sundance Film Festival and was later nominated for the John Cassavetes Award at the Independent Spirit Awards. 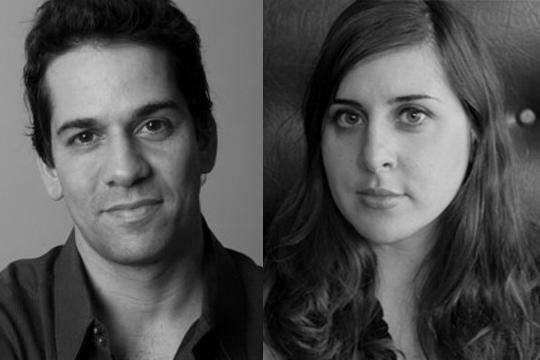 In June 2013, Ms. Keshavarz and co-writer Paolo Marinou-Blanco were the joint recipients of the San Francisco Film Society’s Kenneth Rainin Foundation Grant for Screenwriting for their film The Last Harem. She and Mr. Marinou-Blanco additionally received the SFFS Hearst Screenwriters Grant for the project, on which Ms. Keshavarz will serve as producer, co-writer and director. Ms. Keshavarz spoke with Sean Malin of CineMalin: Film Commentary to discuss the multitude of installations and projects on which she’s currently working, the value of international cinema, and why historical footnotes should be treasured. This interview has been transcribed, compressed, and edited from audio for publication. Sean Malin: The Last Harem, the project for which you and Paolo Marinou-Blanco were awarded the Kenneth Rainin Grant, will be a fiction feature. But that’s not the filmmaking background you come from, is it? Maryam Keshavarz: Not at all – the shorts I did just before going to film school [at New York University’s Tisch School of the Arts] were these weird, dialogue-less films I shot in black-and-white on 16mm film. Those [shorts] made me into a narrative filmmaker. SM: How so? When did you start to feel confident that you could make the transition from experimental to narrative filmmaking? MK: I remember seeing [experimental filmmaker] Shirin Neshat’s work at the Art Institute of Chicago. I was just blown away; I had been taking some experimental film classes at Northwestern University but I did not know then that I’d be entering the film world. I didn’t start making films until after 9/11 and was actually going for a Ph.D. in a different field. After September eleventh, I realized I wanted to combine my doctorate studies with what I was passionate about then: filmmaking. I have always been obsessed with film, in part because I come from quite a religious family. SM: Movies were your escape. MK: I would sneak out and watch as many movies as possible as a child. And then, when I was studying abroad in Argentina, where I didn’t know anyone, the movie theater gave me solace. It was the one place I could be anonymous and with other people at the same time. Ten movies a week. SM: Looking back on your time in South America, which movies you saw had the greatest impact on you? MK: I actually went to Argentina twice and saw a lot of movies on both trips. Because the Argentine New Wave didn’t start fully until after 9/11, I spent most of my first trip seeing foreign films that had been brought into the country from all over. I remember seeing – what’s the name of that movie with Brad Pitt and all his brothers that so many girls like? With Anthony Hopkins? MK: *Searches online* Legends of the Fall. I remember when I was in the theater, people were weeping. They were having a Brad Pitt night – it was an amazing collective experience. That was around 1995; then, I went back to Argentina while I was in my second year of film school. By that time, the New Wave had started and I would go to the Inca Theater just to see films by Lucrecia Martel and Pablo Trapero. I had smuggled a whole bunch of film without having any idea what I wanted to shoot. This was just after 9/11 and there I was, no official permission or letter from a teacher, trying to bring $200 worth of virgin film through [John F. Kennedy Airport]. *Laughs* Can you imagine? I had to beg them not to put it through the x-ray machine. That stock would later become part of my film The Day I Died (2006). SM: The films and the artists you’ve mentioned are all involved in fiction, but at that time, weren’t you only making documentary pictures? When did the lines start to blur? MK: At the time, Christine Choy – whose film, Who Killed Vincent Chin? (1987), I absolutely love – was the head of the NYU Film Department. Under her, in your first year, you had to make a short documentary that had to be a character study. I went to Iran to shoot mine and was supposed to leave after two weeks…until the U.S. invaded Iraq and I asked the head of my department if I could stay. I did and it became a feature-length documentary [Rangeh Eshgh, or The Color of Love, 2004] that sold all over the world and actually paid my way for a long while. Even though NYU does not require that anymore, I think that experience could be so important for every narrative filmmaker: to try and understand a character through documentary craft. SM: You seem to have an attraction to difficult filmmaking processes. You shot a documentary in the Middle East at the very moment of American invasion into the territory; in our interview in 2011, you told me you were almost arrested shooting Circumstance in Beirut. Do you think your work comes out better when it is not easy to shoot or screen for some audiences? MK: *Laughs* It shows people that I have a steel gut when it comes to my subjects. And I like challenges – they help me focus. In many ways, The Color of Love and The Day I Died were the preludes to Circumstance for me. The themes and the visuals that are most developed in Circumstance were first present in making the previous films. SM: If we take your family as a sort of a microcosm of the audiences your films attract, how do they feel about you risking your neck for these movies? MK: My family didn’t even know I was shooting The Color of Love in Iran…My siblings knew that I was shooting [Circumstance] in Lebanon but they had no idea WHAT I was shooting. I knew it would be controversial and I didn’t want to get my family involved. That film, even though it was banned in Iran, became widely available on the black market there, and I had conservative relatives buying the DVD and presenting it to my whole family. *Laughs* I wonder when they had to turn it off. Some were extremely angry at me, you know? I got asked, “Why do you only want to show the bad side of Iran?” But others were really happy I made it. The idea that one film can represent a whole culture is neither possible nor plausible; each film is just a particular story in a particular time told from a particular point of view. SM: When a film takes an outsider’s point of view to a particular moment in time, like Ben Affleck’s Argo (2012), for example, does it have less import than a film from a more native perspective? MK: Argo is not really about the Iranian Revolution, and I know because I lived through it. I’m still hoping for a great film about the Revolution. The film is much more a dark, thrilling comedy and a commentary on Hollywood. I found it funny and well done, but there aren’t any Iranian characters besides Sheila Vand’s character, Sahar. In reality, the maid she plays was a Filipino man working for [Canadian Ambassador Ken Taylor.] And the other Iranian characters are also made from narrative devices, and that’s fine because I never thought Argo was supposed to be about the Iranian Revolution. To Ben Affleck’s credit as a filmmaker, he didn’t have to include the opening scene [in which rioters storm the streets of Tehran] but he knew the importance of contextualizing the angry, black-clad people. I’m excited now to see what [director Jon Stewart] does with Rosewater, which is based on the memoirs of an Iranian journalist. There are infinite perspectives and viewpoints on these points of time. MK: When I was doing my Ph.D. in Middle Eastern Studies, it became obvious that the history books narrate the history from a real gender slant. There was a tiny footnote in one of my books about a woman in the 19th century who was a cross-dresser. At first, I thought about Shakespearean theatre and how performers sometimes dressed up as women. But this was a woman in a harem who dressed up like a man for a king [Naser al-Din Shah Qajar] who was rumored to be gay. I mention that because historians are typically derogatory to what he did to Iran – they claim he annexed part of it to Russia and to other European entities because he was so weak. He’s colored a certain way in history books based on his sexuality. I just spoke to a history expert about this: is he perceived as being a weak king because he annexed parts of Iran and what is now Afghanistan and Azerbaijan, or was he just trying to keep Iran alive and thriving against these huge Western powers? SM: So was that little footnote the genesis for all this historical investigation and thought? MK: I thought, “What if we took the woman from this footnote and made her the main character?” For so many years, I had no idea if I wanted The Last Harem to be a film or a play or a book. But I knew there was something so interesting about this person that it would have a place in my work. SM: And at what point did you begin to write things down and start forming the idea into (an) actual piece(s)? MK: I remember writing in the sidelines of the book that this could make a cool play or a musical, and that would have been around 2000. I don’t know why I wrote that because theatre was never my focus. Years later when Circumstance was about to premiere at Sundance, I had no idea how people would react, if they would like it, etc. I figured I needed to start working on my next project and I had had some things written down from a few years before. My brother had gone to Columbia Film School and through them had heard there was a new screenwriting lab in Mexico called Cine Qua Non. I wrote them and said, “I don’t have a script, but I have an idea for one. I’ve just finished post-production on my feature and I need a place to think.” They accepted me and it turned out to be a magical two weeks of work on this idea. SM: You’re about to unveil an installation art piece just as you’ve received the KRF and Hearst Screenwriting Grants from the San Francisco Film Society. What else can we expect to see from you in the future? MK: Paolo and I were hired to adapt a documentary called Hot Coffee, a major part of which we just completed. I’m also starting work on revisions of our finished draft for The Last Harem. It’s a lot of material – I used to have a pile of books just sitting by my bedside that I would read and reread – and the research for this project is never ending. Now, from this research we have to figure out which realities we want to explore in the lives of these two characters. It is all about honing in, paring down, and finding the details of this particular time and place.